Under the aegis of Town Official Language Implementation Committee (TOLIC), Kolkata, Balmer Lawrie & Co. Ltd., a Mini Ratna Category – I PSE under Ministry of Petroleum & Natural Gas, organized an inter-company Antakshari Competition at its Corporate Office on December 20, 2018 to promote Hindi as the official language. 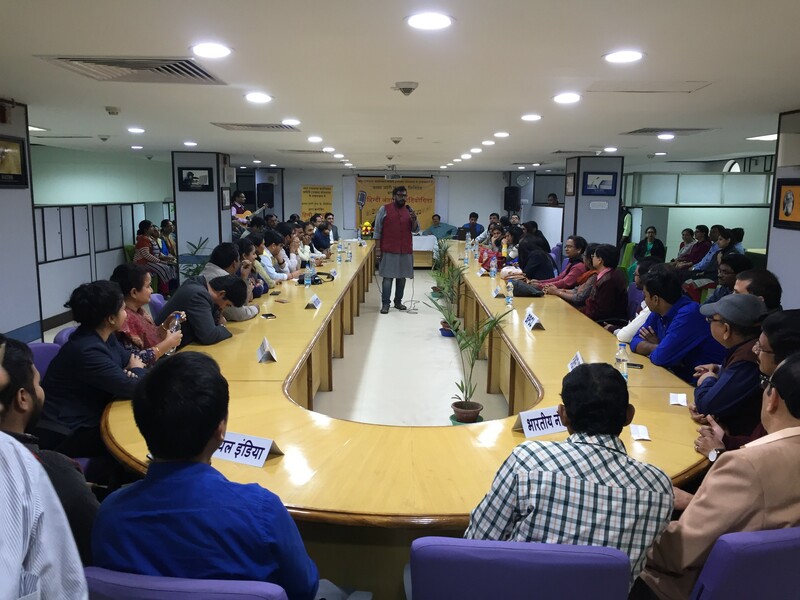 A total of 17 teams from different PSUs in Kolkata participated in the competition. It was an evening full of melodious Hindi songs and after four rounds of tough competition, the team from Oriental Insurance Company Limited was declared winners, with HPCL and Air India securing the 2nd and 3rd positions respectively. Shipping Corporation of India being in the 4th position would get a consolation prize. The prizes will be given away during TOLIC’s half yearly meeting to be held in January 2019.